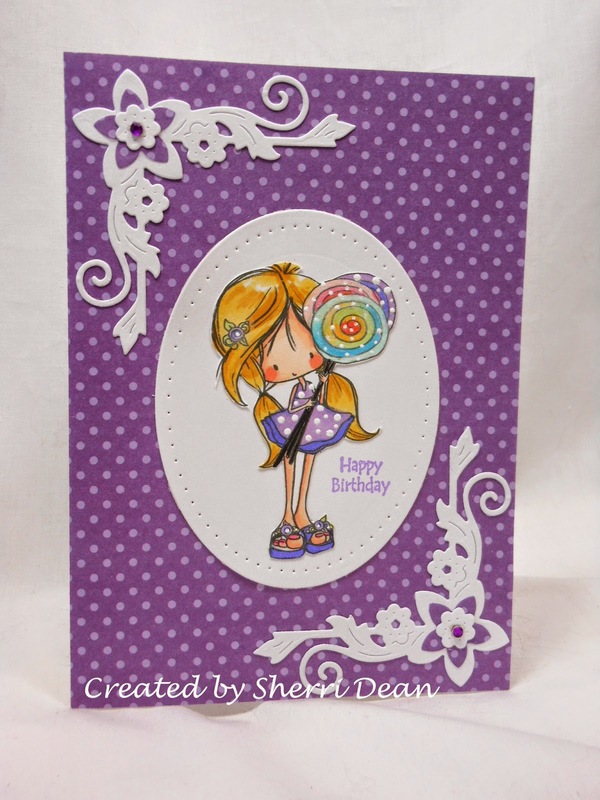 Dies R Us: Have a Sweet Birthday! It's Wednesday again and time to share in another celebration! We all have lots of birthday celebrations in our lives & a handmade card is always a special treat to receive. Today I used a darling digi image from Tiddly Inks. I fell in love with this sweet face and knew she would be perfect for two of my newest dies. 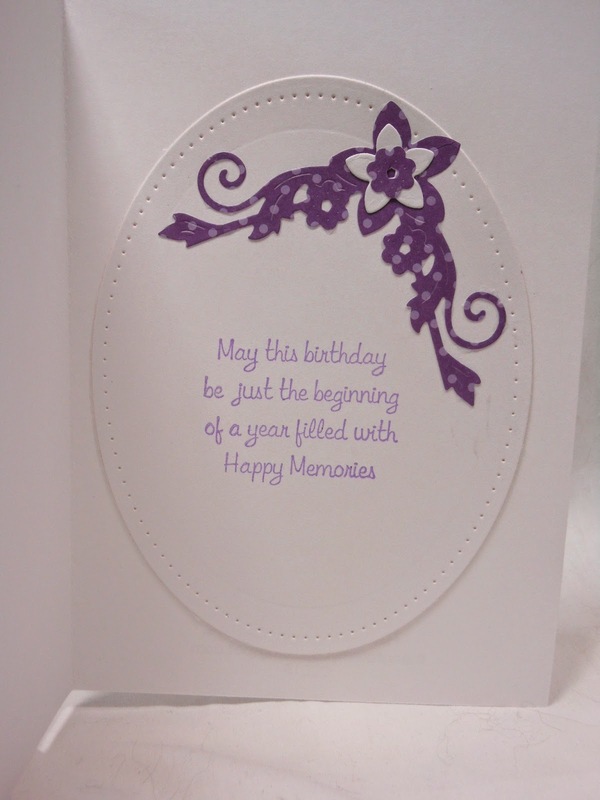 I used Wild Rose Studio Olivette Corner and Spellbinders Pierced Ovals for this fun card. I LOVE this Wild Rose Studio Olivette Corner! It not only cuts a beautiful corner design, but extra flowers that you can use to stack on the main flower for a whole new look! As you can see from the image below, I also cut the corner in the purple polka dot and added it to the inside sentiment. If you haven't been to the Dies R Us Challenge Blog yet, be sure to head there! We are having a month long celebration of our one year anniversary and there are lots of prizes to be won! Until next Wednesday, have a fantastic week! I love the little girl. What perfect dies you surrounded this little darling with. I like the way you used dies on the inside too. What a wonderful way to complete the look. Your coloring is wonderful you should teach classes.